The saga of Telltale and its hottest property continues in the wake of the studio's unexpected closure last month, in which over 250 employees were laid off without warning or severance pay, cancelling all of its upcoming projects in the process with the exception of Minecraft: Story Mode's Netflix port. At an NYCC 2018 panel on Saturday, creator of The Walking Dead Robert Kirkman announced that his studio Skybound Games would be taking over development and publishing responsibilities for Telltale's The Walking Dead: The Final Season. This announcement rightly garnered a lot of scepticism but, according to a spokesperson talking to Variety, Skybound also intends to work with the game's original dev team at Telltale, though an official deal has yet to be struck while negotiations between the two studios continue. Telltale was in the middle of releasing new episodes for The Walking Dead: The Final Season, the closing chapter on its Skybound comic book adaption that first put the studio on the map in 2012. Episode two of four released a few weeks ago, but - with Telltale reduced to a skeleton crew of just 25 people - the subsequent rollout of future episodes looked very unlikely. 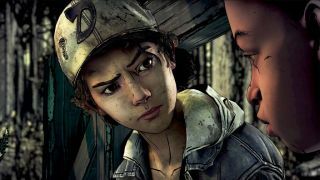 However, Telltale's executive team eventually put out a statement explaining that it was "actively working towards a solution that will episodes 3 and 4 [of The Walking Dead: The Final Season] to be completed and released in some form", after "multiple potential partners have stepped forward" to see the series through to the end. It looks like at least one of those potential partners had been Skybound Games, a studio which is not only an offshoot of the company which owns The Walking Dead IP, but one which has a strong history of working with other developers to produce and publish indie titles. It's unlikely, however, that all 250+ ex-employees of Telltale will be rehired or even recompensed for their recent loss as a result of this partnership, so questions remain about the virtue of Telltale's priorities following its widely criticised treatment of former staff. We're still waiting to learn the details of how this deal will work, but you can read more about the news on Skybound's official website here in the meantime. Keep an eye out on GamesRadar for more Telltale updates in the coming weeks and months, and find out what other new games of 2018 might be worth playing this year.